The Republican National Committee heads into the summer with five times more cash-on-hand than its Democratic counterpart. WASHINGTON — Heading into the summer with a major cash advantage over the Democrats, the Republican National Committee says its efforts to contact voters ahead of the November midterms are on pace to match, and in some categories have already surpassed, the 2016 presidential election. The RNC told NBC News it has already made 20 million traditional voter contacts by phone or door knocking this election cycle, a large number for a nonpresidential election year. That's just part of the total 487 million contacts it says it has already made this cycle, including emails opened (250 million), calls made for data gathering purposes (183 million), digital petitions or surveys completed (19 million), direct mail sent (9.6 million), and get-out-the-vote calls made (5.6 million). "Enthusiasm is up and Americans want to see this great comeback continue. 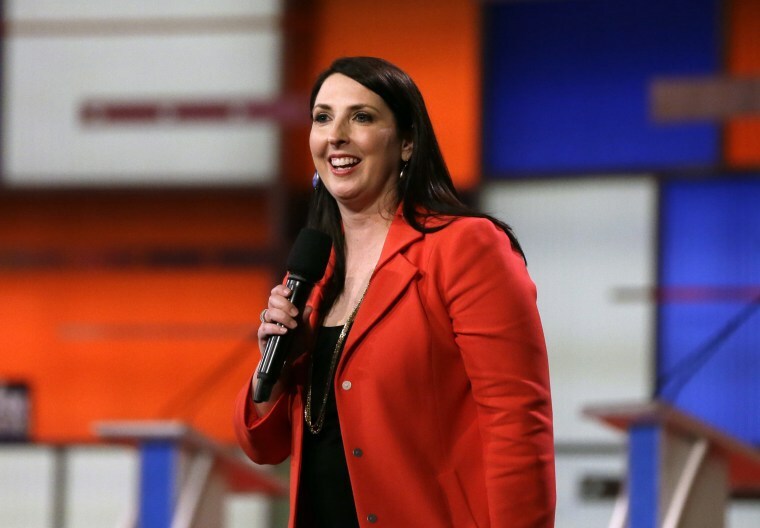 We see that reflected in our record fundraising and in our surge of new volunteers who have already helped us connect with millions of voters," RNC Chair Ronna McDaniel said in a statement. "We are not leaving a single vote unturned and we are ready to defy history this November." Republicans are keenly aware of the challenges they face this year, including the historical trend of midterms breaking against the president’s party. But the RNC has enjoyed a considerable fundraising edge over its Democratic counterpart, entering the summer campaign season with 47.4 million cash on hand — more than five times the $8.7 million that the Democratic National Committee has in the bank. The RNC, whose backstopping of Donald Trump's skeletal 2016 campaign proved vital, has used that financial advantage to deploy 500 staffers in 27 states, including every battleground, and train more than 15,000 "fellows." The July Fourth holiday serves as the unofficial point at which the RNC's ground teams begin to convert their earlier efforts into get-out-the-vote operations before the campaign kicks into high gear in the fall. The RNC is primarily responsible for presidential elections, while other GOP groups take the lead on midterms, so all of the RNC’s work this year will be used to help lay the groundwork for Trump's re-election bid in 2020.